Avondale Art Park and the Avondale Community Centre present Words for Avondale, a poem by Selina Tusitala Marsh painted by Berst with assistance young artists. Over the course of a one day workshop Berst will take an Avondale inspired poem from Selina Tusitala Marsh, and transform it into a text based mural on the wall of the Avondale Community Centre. He will be helped by workshop participants from the local area. Forum is a new event that celebrates graffiti writing as an evolving and thriving artform. 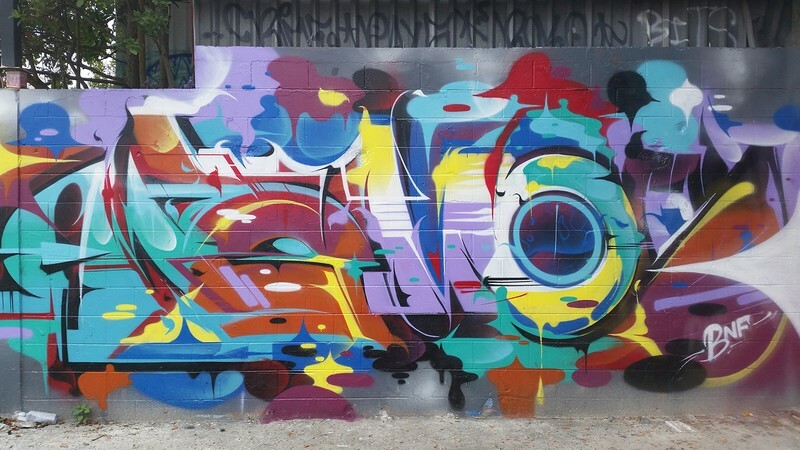 Taking place in the Auckland suburb of Avondale, Forum brings together 10 of New Zealand’s top and most active writers including Berst, Ceap, Erok, Freak, Gasp, Haser, Ikarus, Kezam, Phat1, and Kell Sunshine for a weekend of painting and talks about graffiti as an artform. New Zealand's current Poet Laureate Selina Tusitala Marsh grew up in Avondale and holds particular insight into this culturally diverse piece of Auckland. Forum has received support from Creative New Zealand, the Whau Local Board, Auckland Council, Auckland Libraries, Base FM and Phantom Billstickers. To find out more about the other Forum activities over the weekend including live painting and workshops visit the Avondale Art Park page on Facebook or Instagram.